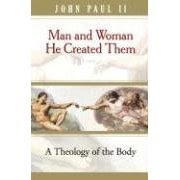 During my Lenten summary of Theology of the Body, I am synthesizing many ideas and thoughts that I have gleaned while reading (sometimes skimming!) 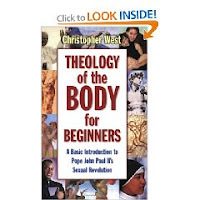 a solid list of books on the topic. The posts on the BFG are my own writing, and while I seek to be just a faithful messenger of the good news that I have read and learned, I dare say that any failing in the organization and clear communication of the message is not Pope John Paul II's fault, but my own! 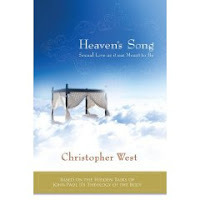 In other words, the real stuff, unedited and "un-sifted" through the patterns and workings of my mind, can be purchased through Amazon, read and enjoyed in great detail. 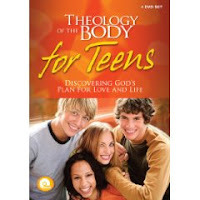 Some recommended resources on Theology of the Body are exhibited below.